After Microsoft released the Kinect sensor a few years ago, many of the things that were incredibly difficult to do with normal camera tracking became much easier. The Depth image can be used for tracking purposes just like we saw in the last lecture with other cameras. We can do thresholding, blob tracking etc. When the Kinect (and other depth cameras) are combined with some clever software, you can pretty easily track human beings in a space. Or at least much easier than what it was just a couple of years ago. There are two main approaches in doing the tracking (code-wise). There is a tutorial available about the video above. 1) You can use the SimpleOpenNI library. Or download these small examples that I made. They are a little bit simpler. 2) You can use some other software that does the tracking and send the data to Processing or other OSC compatible software. OpenNI2OSC – A little software made by me (Matti). Sends the user data and the joint data on port 12345. Works with up to 5 people. Doesn’t need calibration pose. Synapse – Another OSC sender. Works only with one person. Needs calibration pose. OSCeleton – A pain to set up, but works very well. NI Mate – Made by a Finnish company. Quite easy to use, integrated Processing support, OSC, MIDI… But the full version is not free. The Kinect is good for bigger motions in a space, but t’s not accurate enough to detect subtle motions of your fingers. Leap Motion might be more useful for finer details. 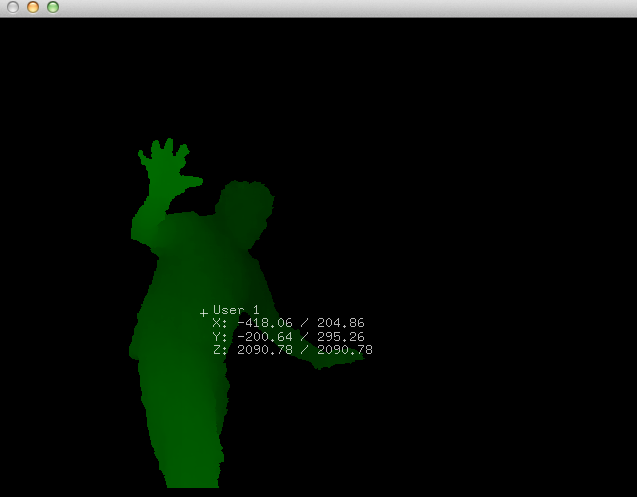 Once again a Processing library exists for the Leap Motion. Or actually there’s at least three of them. They will all do pretty much the same thing so try one of them and see the examples on how to use them.